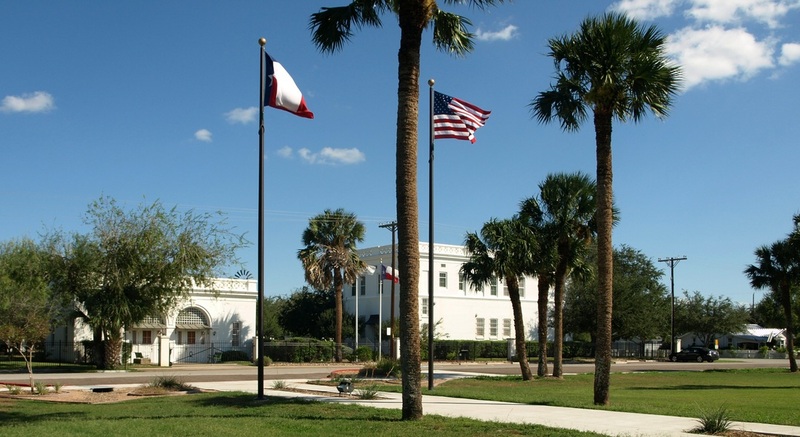 "Kenedy County ... in the Rio Grande Plain region of South Texas, was named for pioneer rancher Mifflin Kenedy. "About sixteen land grants were made in the Kenedy County area by the Spanish and Mexican governments. rancheros, and a number of the newcomers married into prominent local families. 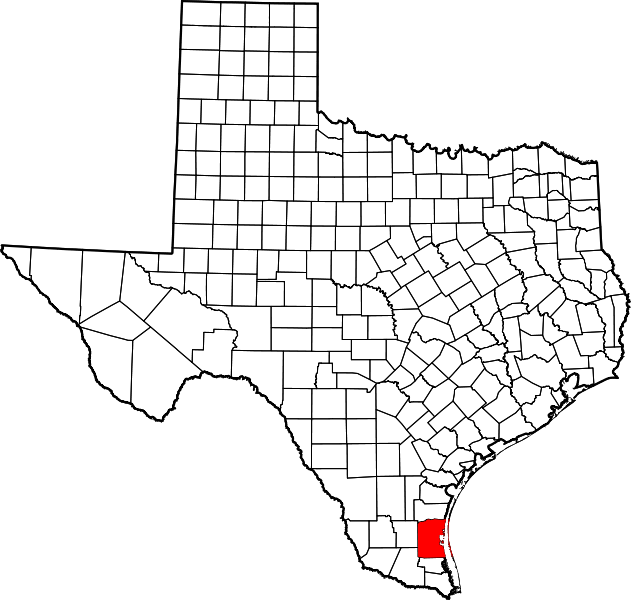 "Kenedy County, among the last Texas counties formed, was not established until 1921, when Willacy, Cameron, and Hidalgo counties were reorganized. The stated reason for the county's formation was the considerable distance to the county seats of the other counties. But perhaps more important was the attempt of ranching interests to stave off the growing power of farmers who were beginning to develop the Rio Grande valley. 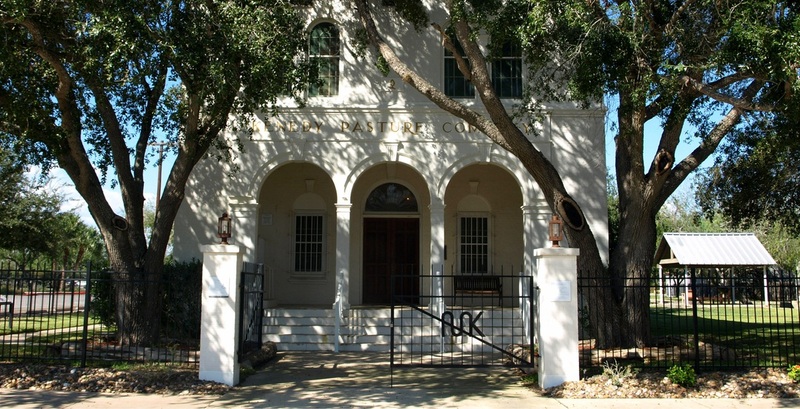 The new county seat was established at Sarita, where John G. Kenedy, son of the founder of the King Ranch, had built his headquarters. Since that time the county has changed little. Kenedy County, with just 416 citizens in 2010, is not the least populated county in Texas. There are two counties with fewer inhabitants: Loving (82) and King (286). 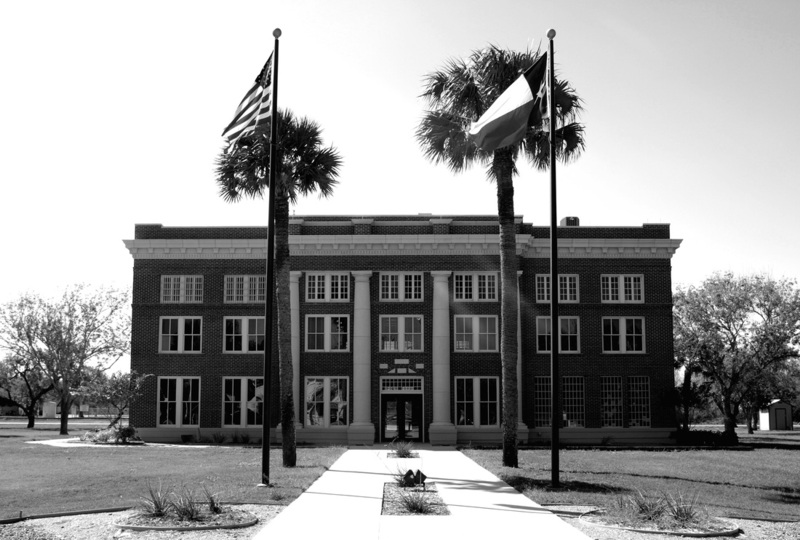 I visited Kenedy County and photographed the courthouse in Sarita on Saturday, October 15, 2011. 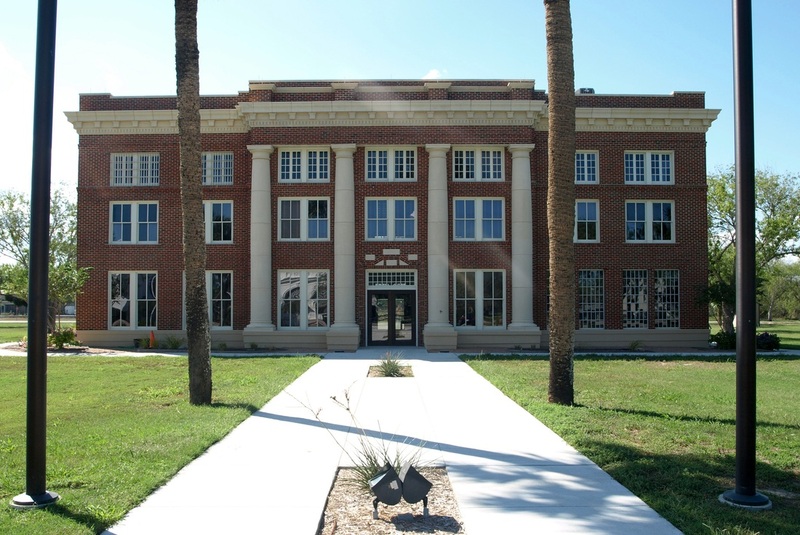 San Antonio architect Henry T. Phelps designed this classic 3-story courthouse for Willacy County in 1917. 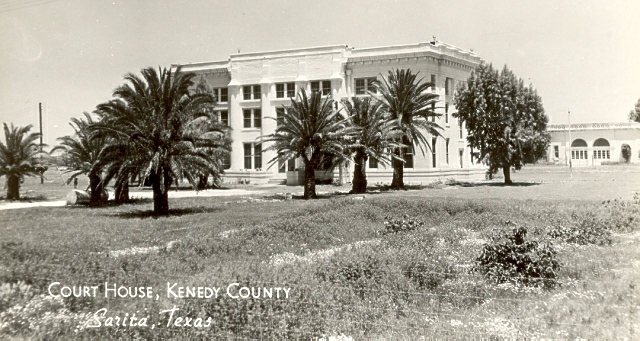 However, when Kenedy County was created from Willacy in 1921, the courthouse instantly became the Kenedy County courthouse. I believe it is the only Texas courthouse to have served two counties. 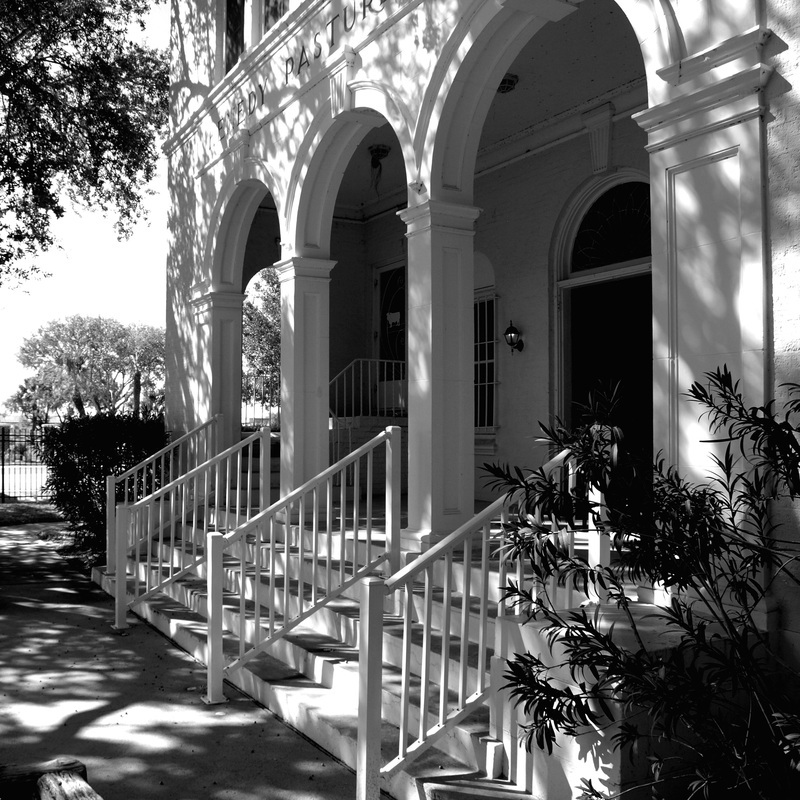 For many years the courthouse exterior, brick and stone alike, was covered in white stucco. A recent restoration returned the courthouse to its original look. 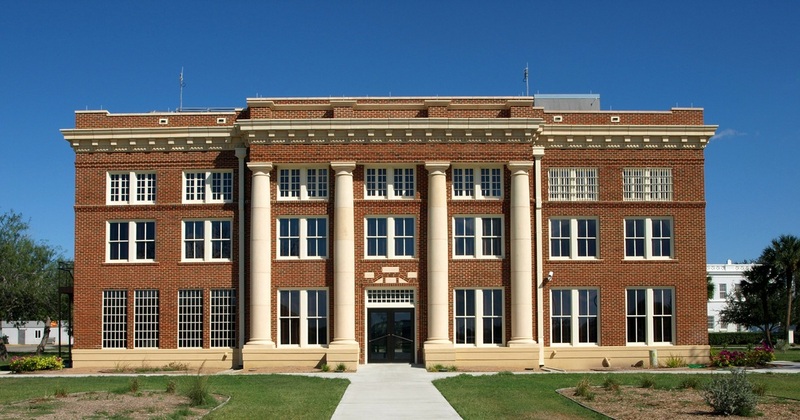 A May 27, 2010 article in the Corpus Christi Caller Times includes this information: "Friday, county officials celebrate the completion of restorations to the 93-year-old building with a rededication ceremony at 10 a.m. [Kenedy County Judge] Garcia said county officials wanted it to look like old photographs portray it, before the decision was made decades ago to paint over the dark brick and add white stucco. The county spent more than $4 million to restore the courthouse its 1917 look. Back then it cost $19,000 to build, Garcia said. Architect Kim Williams [of TWC Architects of Austin] said many counties use funds from a state restoration grant established in the late 1990s by then Gov. George W. Bush, but Kenedy County had the funds ready and didn’t want to go through the grant application process, which can take awhile. Because of years of neglect and moisture, crews had to completely remove all brick and stone from the outside of the building and start from scratch. The reason for a good portion of the deterioration was the added stucco exterior. 'It did more harm than good. It trapped moisture inside and created mold and rust,' Williams said."